Sarah Goes To Korea: Visiting Korea's "Museum Without Walls"
As if I hadn't already had enough days off in May, there was yet another long weekend at the end of the month for Buddha's birthday on May 25th. Since my time in Korea is getting short, I knew it was time to take advantage of the time off and cross something off of my bucket list. Gyeongju is one of the most famous cities in Korea, often referred to as the "museum without walls" because it contains so many important historical sites. Gyeongju was the capital of Korea during the Silla Dynasty (57 BC-935 AD), and to this day there are plenty of significant sites intact from that nearly 1,000 year reign. 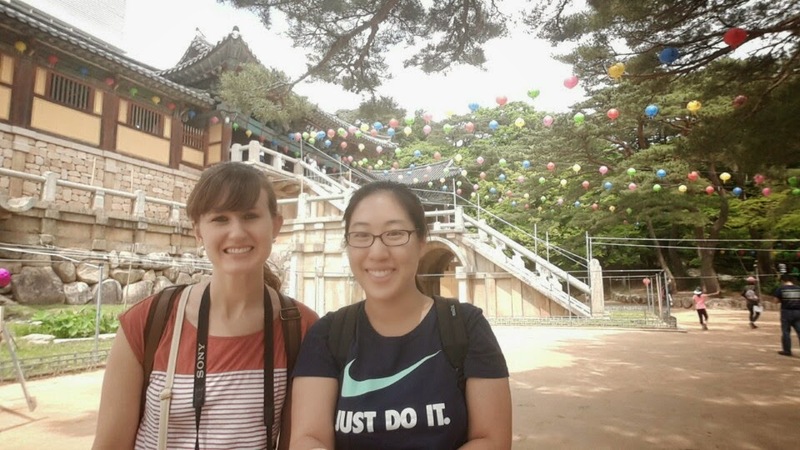 We took a bus from Jeomchon to Gyeongju on Saturday morning, which took about three hours. 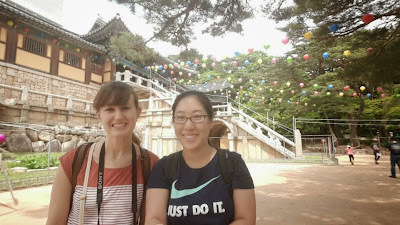 When we finally arrived we got started with our sightseeing right away, and made our way to Bulguksa Temple. 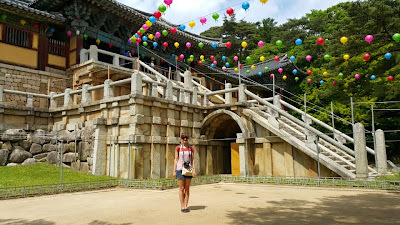 This UNESCO World Heritage site is one of the most famous temples in Korea, but I have to say I wasn't particularly blown away by it. Maybe I just don't know enough about the history and development of the architecture to really appreciate it, but by this point I've seen so many temples in Korea that this one didn't really stand out to me. It probably didn't help that there was some restoration work going on, but overall, I just wasn't as impressed as I was expecting to be. 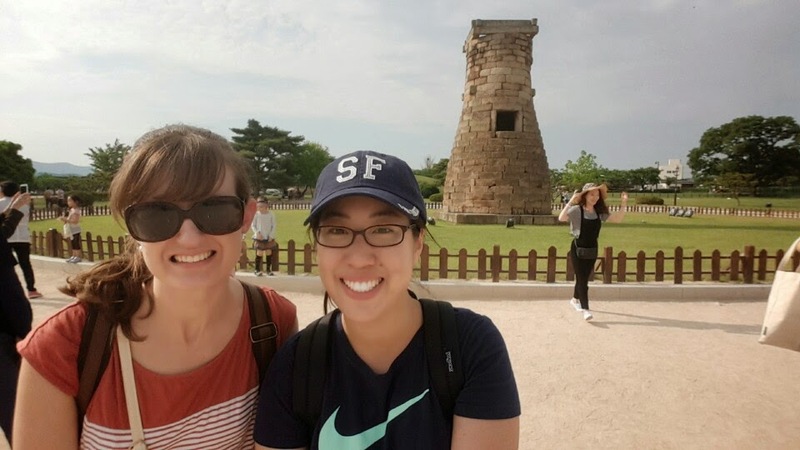 After taking a quick coffee/ice cream break, it was time to go to our next destination: Cheomseongdae Observatory. 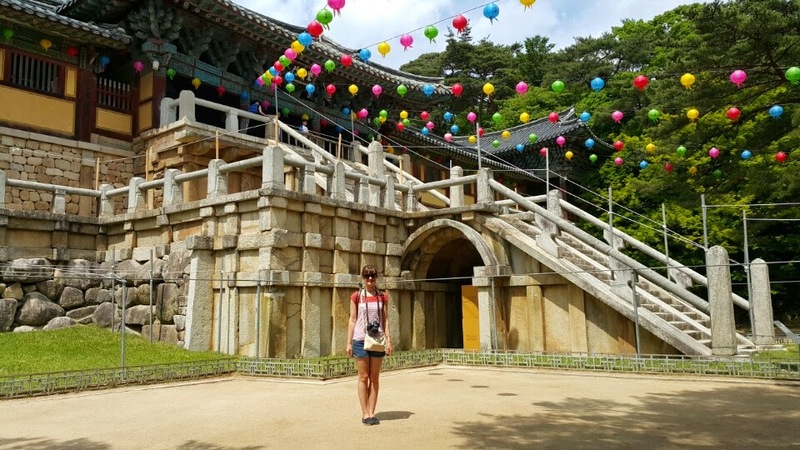 This observatory was built during the reign of Queen Seondeok (632-647), and is the oldest existing astronomical observatory in Asia. Cheomseongdae is located in a beautiful park-like area, so after taking some pictures, we enjoyed walking around the area for a bit. Those green hills are tombs. Some of them are REALLY huge, and most of them are where former rulers were buried. We walked around and came upon this former Confucius school. Freshly planted rice. Rice is planted in lots of water, as you can see here. I loved how so many buildings in Gyeonju were in hanok-style buildings. Eve n 7-Eleven! These beautiful roses are everywhere in Korea right now! After stopping for dinner, we decided to head to Anapji Pond. This pond was created as part of the palace grounds for the royal palace during the Silla kingdom, and today is one of the most famous sites in Gyeongju. Although there were TONS of people at Anapiji, this was my favorite site in Gyeongju. The lights on the buildings at night were absolutely beautful, as they created reflections in the pond. Walking through the garden had that serene feeling you would expect from an Asian garden, even with so many other people there. The weather was also perfect this night--it one of those perfect warm spring nights. After Jen and I walked around the whole area we mentioned how we didn't really want to leave--it was so nice outside and it was so beautiful that it made us sad to think that once we left we'd probably never be back. Unfortunately, there wasn't really anywhere to sit, so it wasn't the kind of place we could spend the whole night--although we easily could have if there been say, a bench there. After we finished at Anapji, we got back on the bus and made our way back to the center of town to find a place to spend the night. We checked out a few motels, but they were all pretty pricey because it was a long weekend and a lot of people were vising the city. Eventually we just sucked it up and paid the high price because we were tired and ready to sleep. In the morning we woke up early, got some breakfast, and caught a train back to Daegu, then another bus back to Jeomchon. 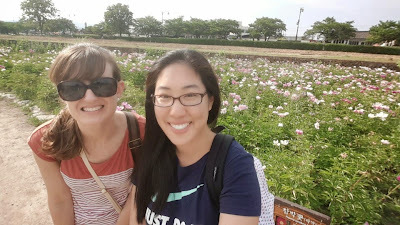 We thought about spending a little more time in Gyeongju, but to be honest we saw the major things we wanted to see in one day, and staying longer would have created a headache that we didn't feel like dealing with in terms of transportation back to Jeomchon. 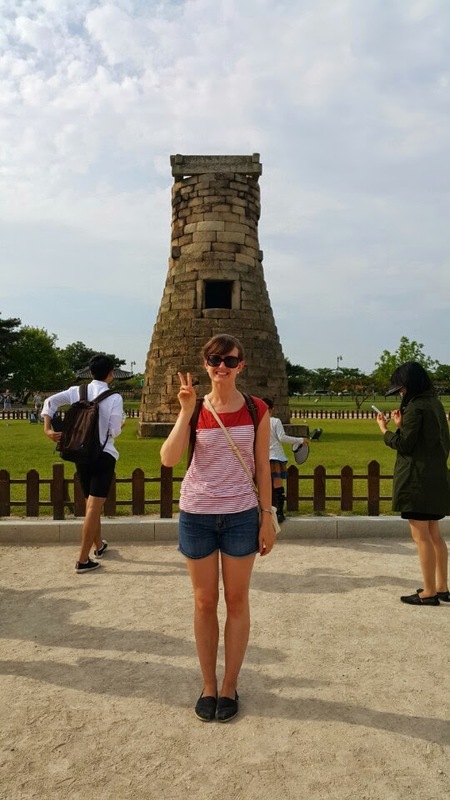 Overall, I had an enjoyable time in Gyeongju. 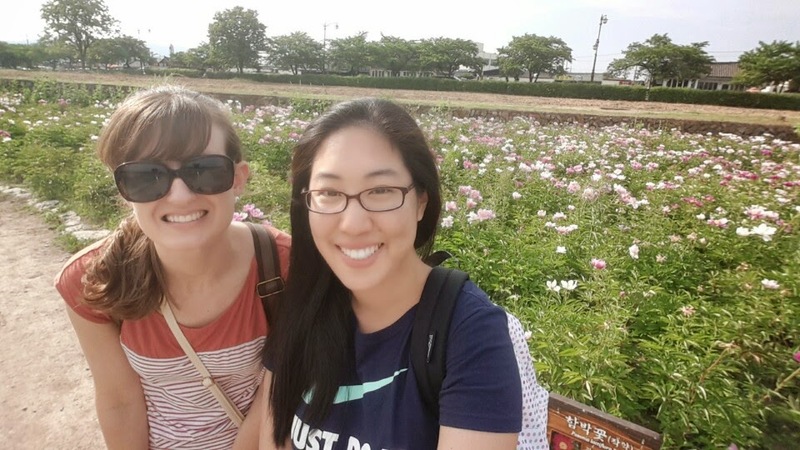 It is a beautiful city, and I'm glad that I got to enjoy it with Jen, my favorite travel partner!